SVK Crypto just revealed that it led a $2 million Series A funding round for MakerOS. Alongisde EOS Global’s participation, the latter wants to utilize the funds in expanding the company. At the same time, the funding will enable the firm to integrate the EOSIO blockchain technology directly to its very own software platform. The platform is capable of streamlining business processes, not to mention is improving powers aimed at the very production of digital and physical products. By essence, the platform offers a significant increase in efficiency, profitability, and security of the overall supply chain. Radar managed to raise at least $10 last year. It is basically the company behind existence of Radar Relay, which is a decentralized exchange. Interestingly, the company just announced its plans to final release a brand new suite of Lightning Network developer tools. These tools are expected to be released at the upcoming Lightning Network hackathon, which is sponsored by Boltathon. The new suite of tools reportedly offers node configuration helper, which is a tool designed for opening and requesting channels. Even more so, it will feature an invoice decode and an invoice sandbox for test. Acre Software, which is a blockchain mortgage tech startup based in the United Kingdom, has been successful in raising around $6.5 million. The funds are expected to be applied on its attempt to develop and apply blockchain technology directly to processes involving mortgage and insurance. According to a press release, the mortgages in the country are mostly facilitated by advisers. With that said, the company wants to help in retaining their position by simply matching and even improving the send of an end-user service. Based on the 24-hour data, the volume of trade in the crypto space got $55.25 billion. As far as the market capitalization is concerned, it obtained nearly $181.42 billion. 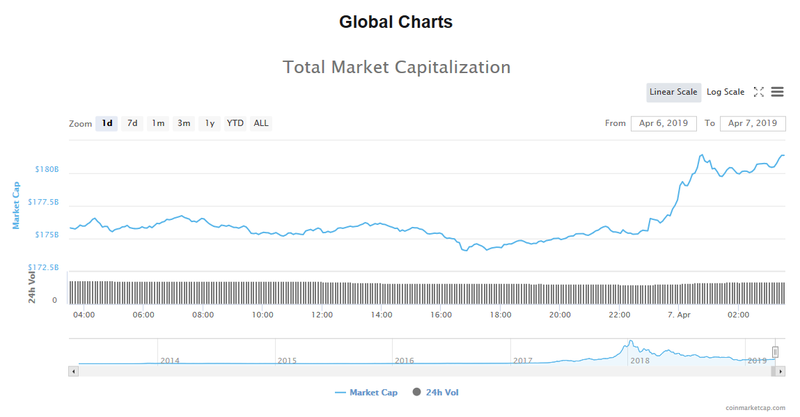 The world’s leading cryptocurrency has once again proven its consistency in the crypto space after gaining $16.41 billion in terms of volume of trade with a trade jump of 3.16%. Its market capitalization did not also disappoint, as it managed to reach $91.47 billion. Ethereum is not lagging as well, especially since its trade jumped to 5.13%; hence, its price snatched the $172.49 mark. Its volume of trade settled at $7.12 billion while its market value captured $18.21 billion. When comparing all of the top 10 digital currencies in the crypto space, it is safe to say that everything is green. There are some, however, that went down (though the decline is not necessarily significant). As for the 10th spot, it seems Tether got the upper hand against TRON this time. Bitcoin’s market price jumped 3.16% to $5,187.98, and its value in the market is $47 billion. Ethereum’s market price jumped 5.13% to $172.49, and its value in the market is $18.21 billion. 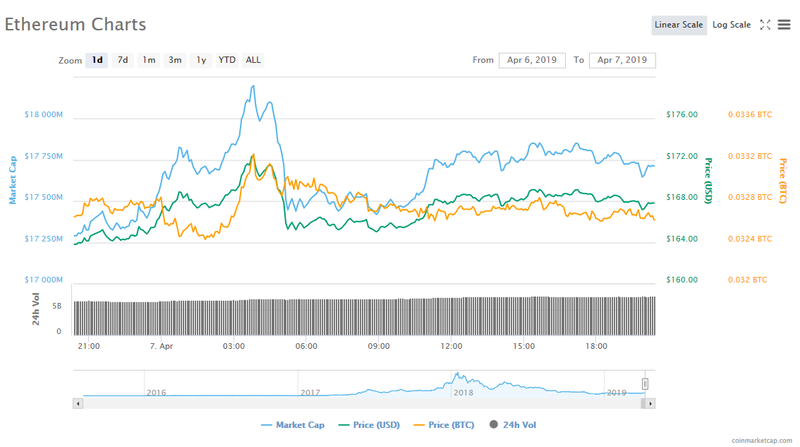 XRP’s market price fell 0.02% to $361933, and its value in the market is $15.11 billion. Litecoin’s market price jumped 7.97% to $95.17, and its value in the market is $5.83 billion. Bitcoin Cash’s also jumped in its market price at 9.98% to receive $321.73 in price, and its value in the market is 5.70 billion. EOS’s market price jumped 6.05% to $5.61, and its value in the market is $5.08 billion. Binance Coin’s price in the market fell 1.02% to $19.25, and its value in the market is $2.72 billion. Stellar’s market price jumped 0.67% to $127983, and its value in the market is $2.45 billion. 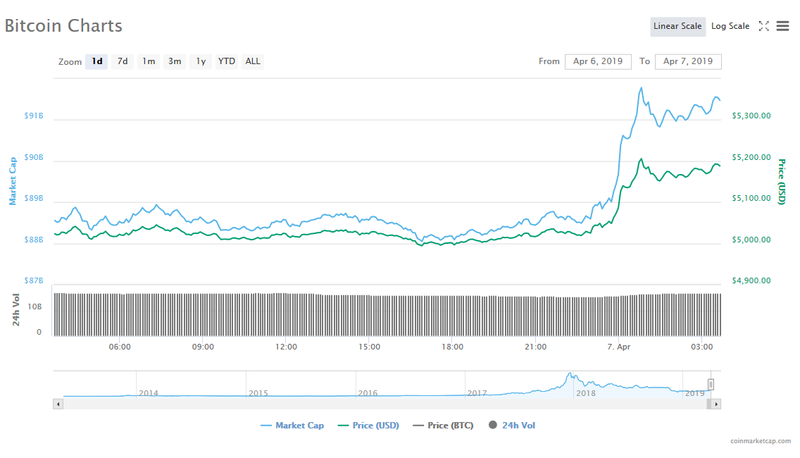 Cardano’s market price jumped 2.44% to $0.092853, and its value in the market is $2.41 billion. Cardano took home the 10th spot, with TRON falling next to it. This even happened even after the former experienced a trade fall of 0.29% and only traded at $1.01. Lastly, its market value recorded a figure of $2.09 billion. A report was created by analysts who are associated with the Crypto Finance Conference states that the US has been ranked as the most favorable country for ICOs (Initial Coin Offerings). The number two and three spots were taken by Switzerland and Singapore. Bitfinex is working actively with the British Virgin Islands government to alleviate suspicious of the exchange being used for tax evasion purposes. Criminals have been using cryptocurrency exchanges to convert their cryptocurrencies into fiat currencies for some time now and that is why Bitfinex has taken the decision to work with its government. CoinflooxEX, which was a Bitcoin futures marketplace, is being spun off from Coinfloor Group, its parent company, and will be relaunched next month as CoinFLEX (Coin Futures and Lending Exchange). Four months ago, the Blockchain based security firm had announced its intention to acquire the asset custodian Kingdom Trust. However, now the firm has announced that it will build its own instead. According to its announcement, the startup was looking at a charter to develop BitGo Trust, which would be regulated as well as qualified custodian specifically designed for digital assets.